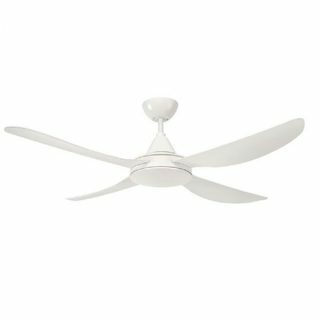 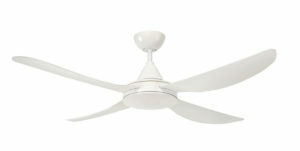 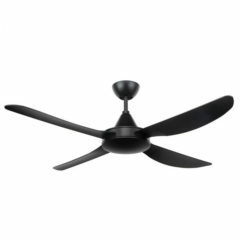 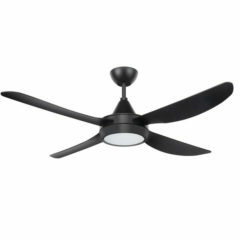 The Brilliant Vector ceiling fan features a modern 48 inch ceiling fan with ABS plastic blades. 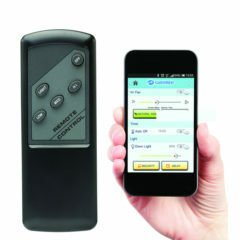 It comes with a 3 speed wall control and is powered by a 50W motor. 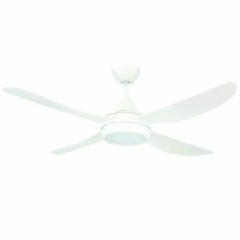 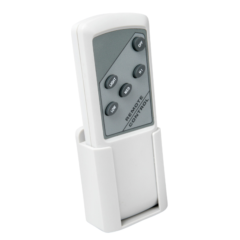 It is available in black or white finishes, and with or without an integrated light (each listed separately).